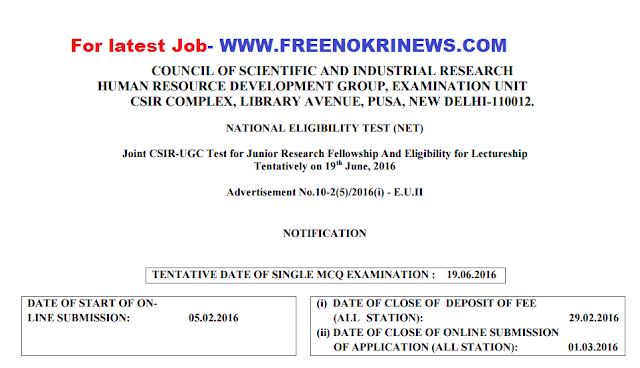 Tentative date of result of June 2016 Joint CSIR exam-In September/October 2016. Time of Examination-The morning session will be from 9:00 AM to 12:00 Noon and time of examination for evening session will remain 2:00 PM to 5:00 PM. Rs. 1000 for General Category candidates. Rs. 500 for OBC Category candidates. Rs. 250 for Schedule Caste/Schedule Tribe/Physically Handicapped Visually Handicapped Category candidates. Age for JRF (NET) as on 01.01.2016-Not more than 28 years. No entry will be made without e admit card.The candidates are directed to reach 30 minutes before starting the exam at their exam centres. 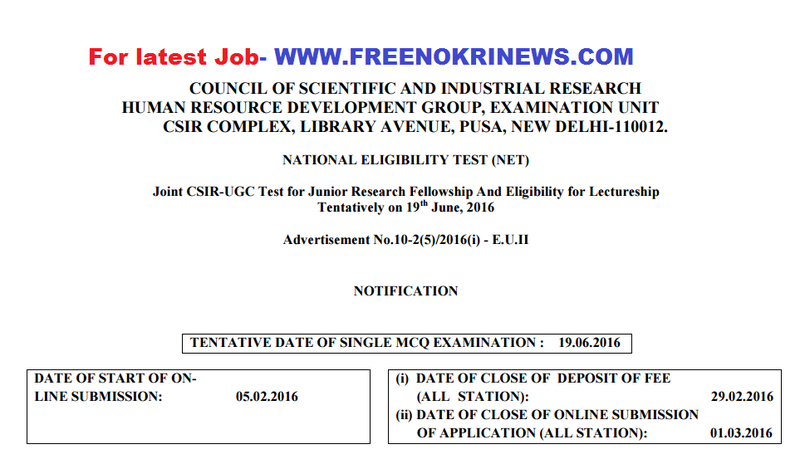 The e-Admit Cards/Hall Ticket/Roll No.for Joint CSIR-UGC Test 19.06.16 will be available in the first week of June 2016.E-admit card will be compulsory to enter in the examination centres.